While setting up a bar in UAE is a tedious task, more difficult is streamlining the operations once the business is on a roll. This is primarily because, a bar deals with liquid, which is extremely costly and can be poorly handled by untrained staff. This makes diligently monitoring the bar operations all the more important. You can do it just right with the help of stellar bar management software that will help you optimize your bar operations and garner more sales. UAE has some of the best bar’s in the world, and this only portrays the immense competition that thrives in the UAE market. And one of the best ways to counter this extensive competition is by organizing the entire bar operations, which can be effectively done by leveraging a bar management software. A robust bar POS will ensure end-to-end management of the entire bar operations. It will help you keep a keen eye on the inventory, billing, manage happy hours, run personalized marketing and loyalty campaigns leveraging the CRM, ensure split billing, monitor staff performance and analyze the business through detailed reports. Hence, once you have managed to get a bar software on board, you will be assured to run your bar seamlessly. Managing bar operations isn’t an easy task. Hence, it is recommended that you leverage a bar software that will be your right hand, and provide you with all the details of the operations in real-time. Read below and know how a bar management software will automate your entire bar operations and bolster your sales exponentially, and make you one of the best in the UAE market. Having an proper supply of the liquor stock is critical for running a bar in UAE. An efficient bar inventory software ensures that your bar inventory never runs out of stock. You can set re-order levels for each liquor stock, and the bar software will send you real-time alerts when the liquor stock reaches that level. This gives you the time to order the stock beforehand and eliminates the need to manually monitor the remaining liquor in your inventory. Managing the bar inventory is one of the biggest challenges of running a restro-bar in UAE. Keeping a track of the liquor consumed and the remaining liquor stock can be tedious if done manually, leaving a lot of scope for misappropriations. This is where the bar software comes into play. With the help of the Excise Software integrated with the bar management software, you will be able to keep a track of the daily consumption and view the inventory level for each type of liquor in your inventory. The bar software keeps a track of the number of drinks orders processed during the day and tells you the variance between the ideal consumption and the physical stock remaining in your inventory. The concept of happy hours has seen massive growth in the past few years. It is one of the major marketing strategies that help a bar attract higher footfall and works very well in UAE to attract the residents as well as tourists alike. Having a bar software will ensure that you will be able to create happy hour offers in just a few clicks. If you are running a large restro-bar chain with outlets in multiple locations, stellar bar software will help you create customized offers and combos as per the demography and performance of specific outlets. You will be able to enhance customer satisfaction if you provide the customers in large groups the option to pay for the items which they ate. While most of the restaurants are providing the customers with the split billing feature, if you don’t you will lose more customers than you can imagine. Hence, get on board a bar management software that will provide the customers with the options to split the food and drinks bill or split one large bill into smaller ones as per the customer demand. Accepting orders and payments at the bar itself is a headache that most restro-bars face. Bar software that supports Bluetooth printing enables you to generate accept orders at the bar through a handheld restaurant ordering system, and print bills right there. This simplifies the order taking process, and eliminates any scope of misappropriations and internal thefts. The information of all the customers who visited any of your brand outlets will automatically get updated in the central CRM. Hence, a customer of one outlet will become the customer of the entire brand. With such a bar POS, you will be able to create a rich repository of customer data, on the basis of which you can run customized marketing campaigns. You can quite effectively create customized SMS and email campaigns and be in your customers’ mind and sight. While loyalty programs have proved to be extremely beneficial in retaining the customers, the campaigns ROI will increase exponentially once you run personalized loyalty programs from the information available in the CRM. An efficient bar management software will be able to provide you with comprehensive reports that will help you analyze your business and then strategize to further bolster the operations. The POS will be capable of providing you data in a detailed tabular and graphical form. You will receive a wide range of reports like the hourly, daily and monthly sales report, and daily stock consumption report. Such robust reports will help you understand and point at the loopholes in the system that might be draining most of your bar revenues. Employees in a resto-bar need to be properly trained to handle drinks in a skillful manner. Hence, monitoring the performance of the employees becomes all the more important to ensure that they are not causing unnecessary wastage or increasing the table turnover time with their low performance. Here, a bar software that comes with the employee management feature will come in handy. It will keep you informed about the number of tables served by each waiter, the table turnover time taken, and the item sold. On the basis of this information, you can analyze their performance. Provide incentives and rewards to the ones who are performing well, while encouraging and planning further training for the rest. 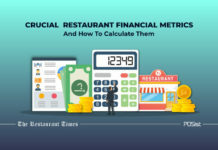 The labor costs in the UAE restaurant industry are pretty high, and you need proper employee performance management to keep your costs in check. Considering the massive competition that exists in the UAE restaurant space, it becomes necessary to be the best in what you do. 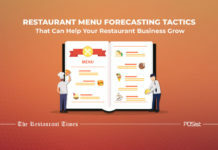 And the only way you can boost your bar operations is by using a bar software that will ensure that nothing in your business goes out of your sight and mind. The POS will enhance your operations, which will have a direct impact in bolstering the customer service, which finally will help you increase your sales.